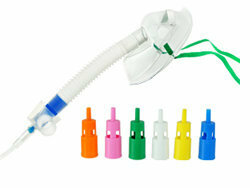 Nasal cannula is a medical device which is used to increase airflow and deliver oxygen. 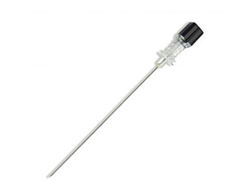 Nasal cannulae are intended for use commonly by patients in the extended care, home and hospital environments. A nasal cannula consists of a tube that splits into two prongs on one end which are placed into the nostrils for mixture of air and oxygen to flow. 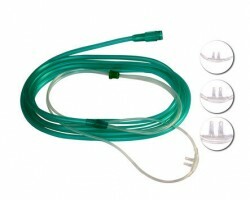 The nasal cannula can be connected to an oxygen generator or a wall through a flow meter. 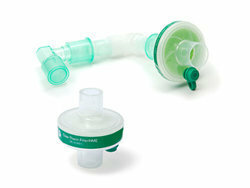 Sometimes humidified air is supplied through the nasal cannula to prevent the drying of the airways. 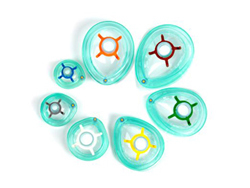 The use of a nasal cannula is usually indicated for people needing a small percentage of supplemental oxygen and patients who are non critical but need help with oxygen consumption. 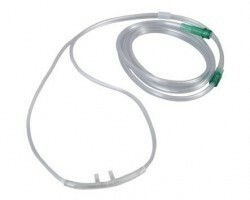 A nasal cannula should provide unobstructive oxygen flow and the flow of oxygen should not be compromised even if the cannula is kinked or twisted while performing every day activities. A nasal cannula may be uncomfortable for the first few days but patients tend to adapt to the nasal cannula after regular use. The cannula remains attached to the patient by the means of elastic head bands or hooking of the tube behind the patient’s ears. 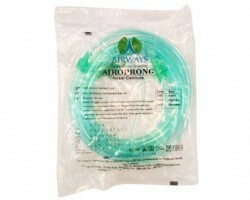 A nasal cannula recommended for use only by a single patient. 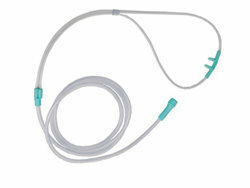 The nasal cannula can be gently cleaned with a damp cloth. The nasal cannula needs to be discarded and replaced in case it gets soiled, damaged or defected. 5. 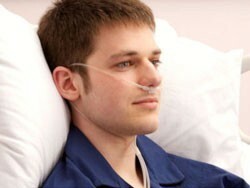 Nasal cannula have to monitored to prevent slippage from the nares or tightness around the ears. 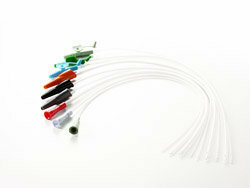 Smart Medical Buyer has a wide range of nasal cannula online from the most trusted brands. The easy search and ordering process and quick turnaround ensure a smooth and seamless experience. 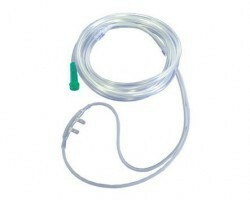 Smart Medical Buyer offers next day dispatch on nasal cannula. 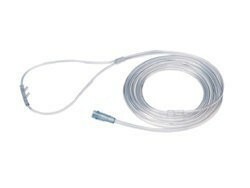 Smart Medical Buyer’s range of nasal cannula includes those from trusted brands like Romsons, Niscomed, Airways Surgicals, and Intersurgical.